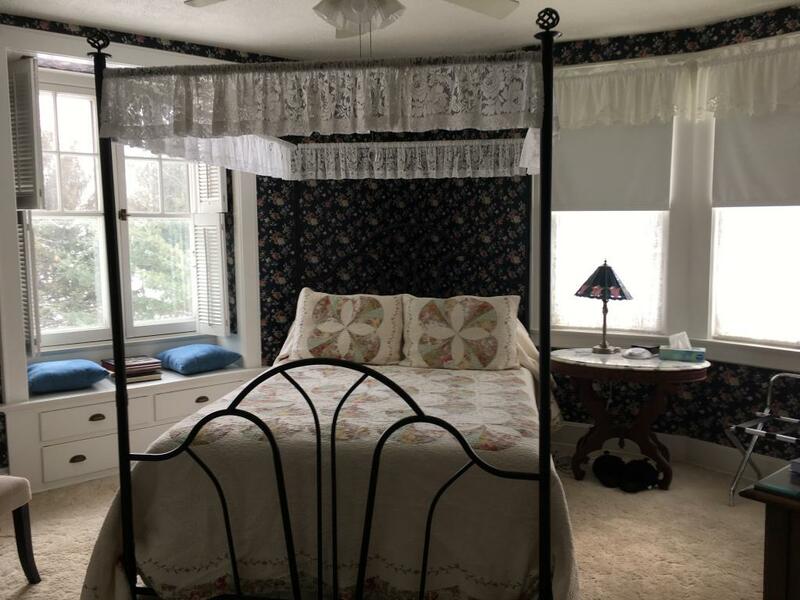 The largest of our guest bedrooms is decorated in navy blue florals with a queen size four poster bed draped with lace and covered in a handmade quilt. 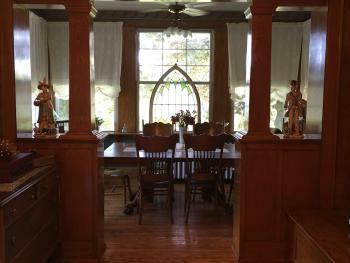 It is furnished with antiques, a stained glass lamp, ceiling fan, air-conditioning, flat screen TV//DVD, sound machine, robes and WIFI. 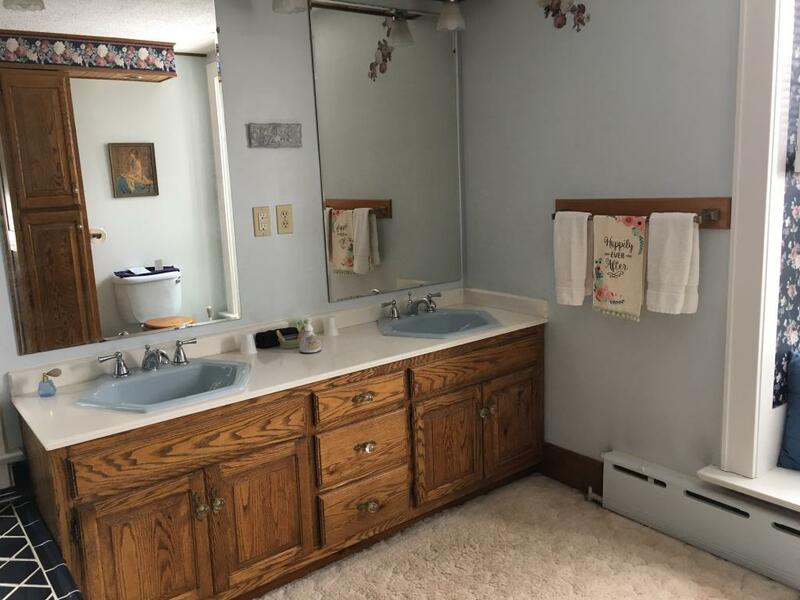 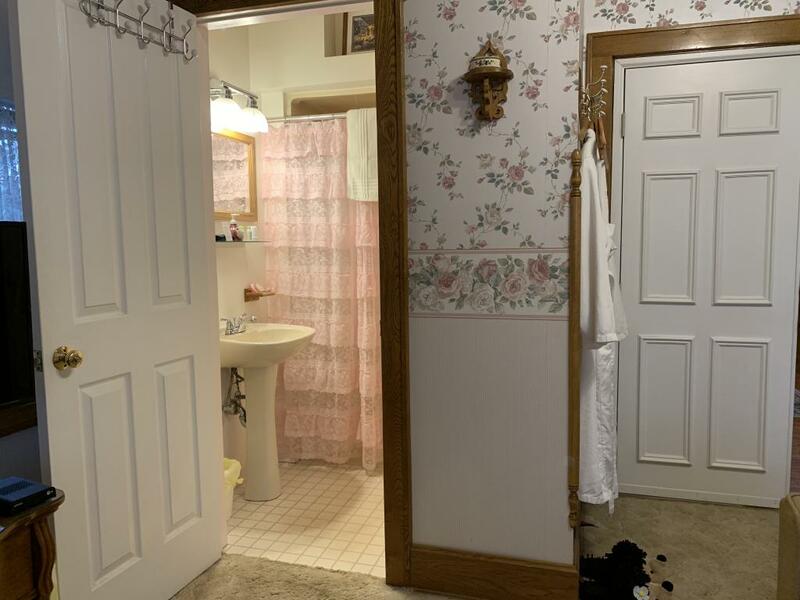 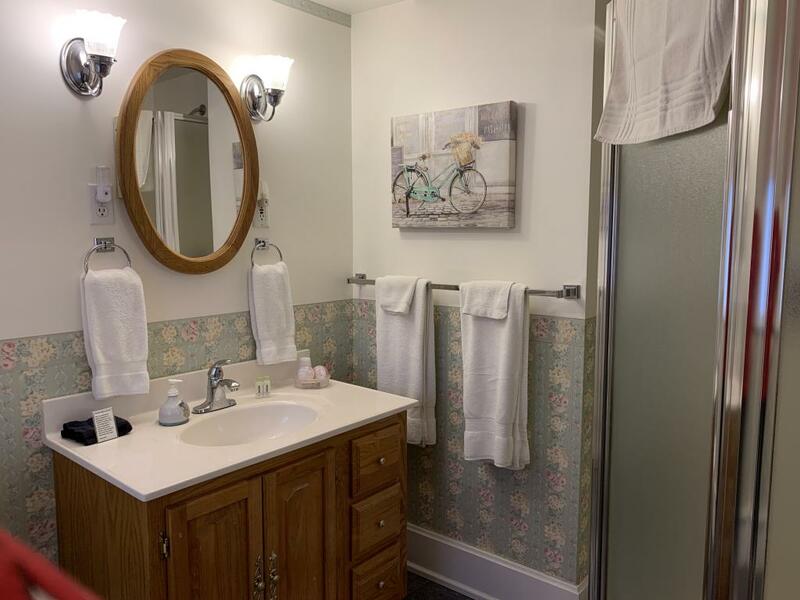 The large bathroom has both an oversized sunken tub for soaking and a shower as well as double bowl sinks. Decorated in hunter green stripes and florals, this room has a brass queen size bed, a private bath with shower, ceiling fan, air-conditioning, sound machine, robes, cable TV/VCR/DVD and WIFI. 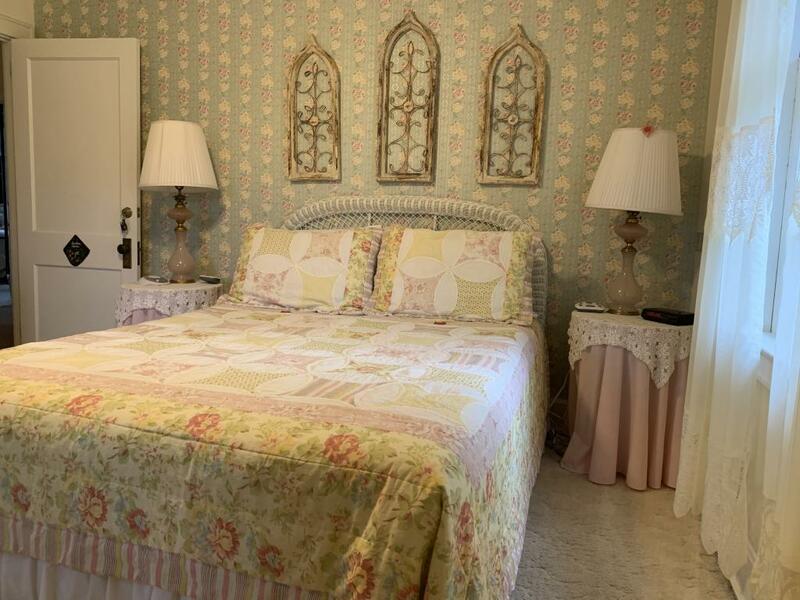 This queen bedroom is decorated in mint green and pink with a garden/hummingbird theme and a white wicker headboard. 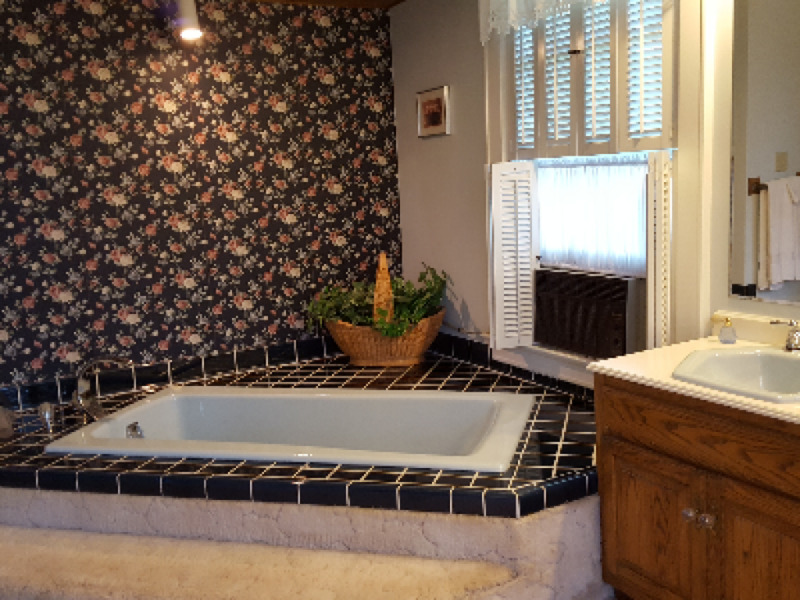 The room has a private bath with a shower, ceiling fan, air-conditioning, sound machine, robes, cable flat screen TV/VCR/DVD and WIFI. 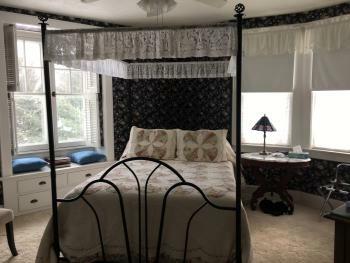 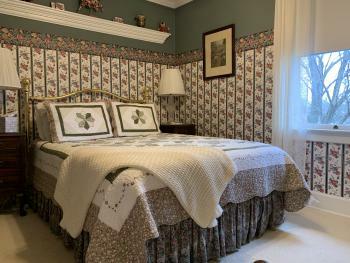 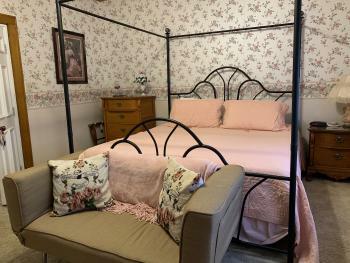 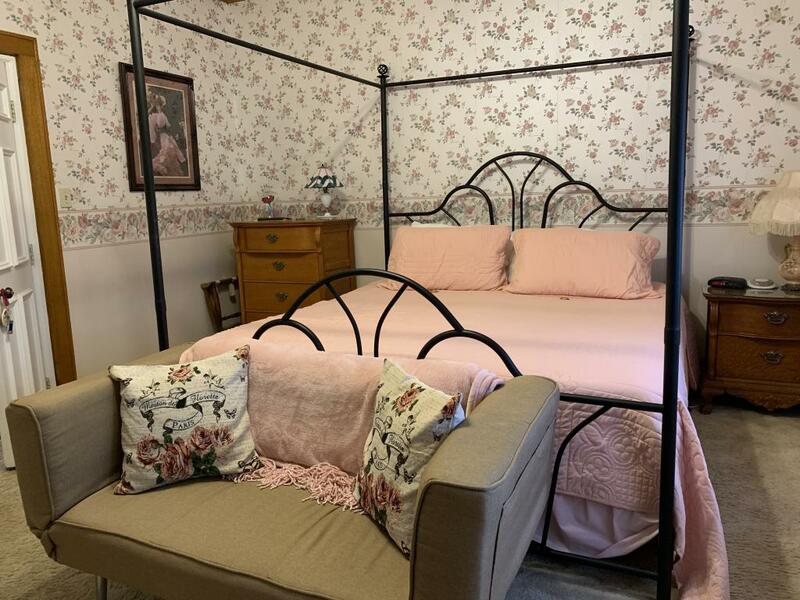 Warmly decorated with antique oak reproductions, four poster wrought iron king size bed, love seat, cable TV/DVD and WIFI. 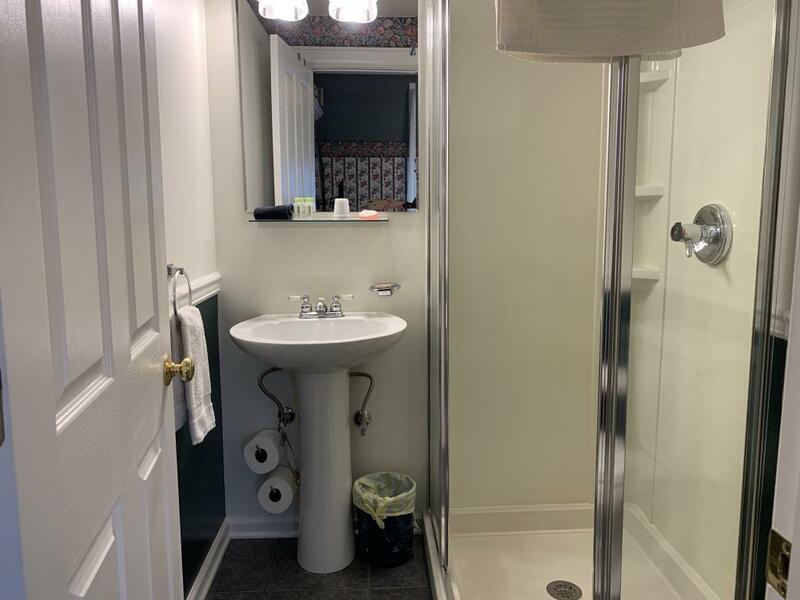 Private bath with shower. 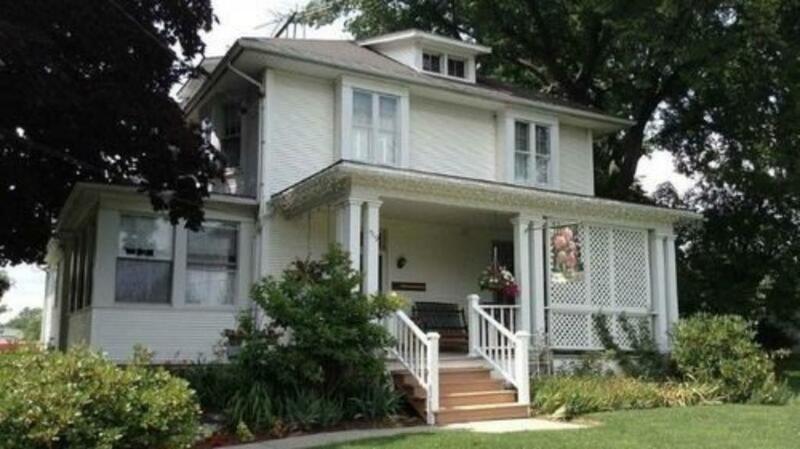 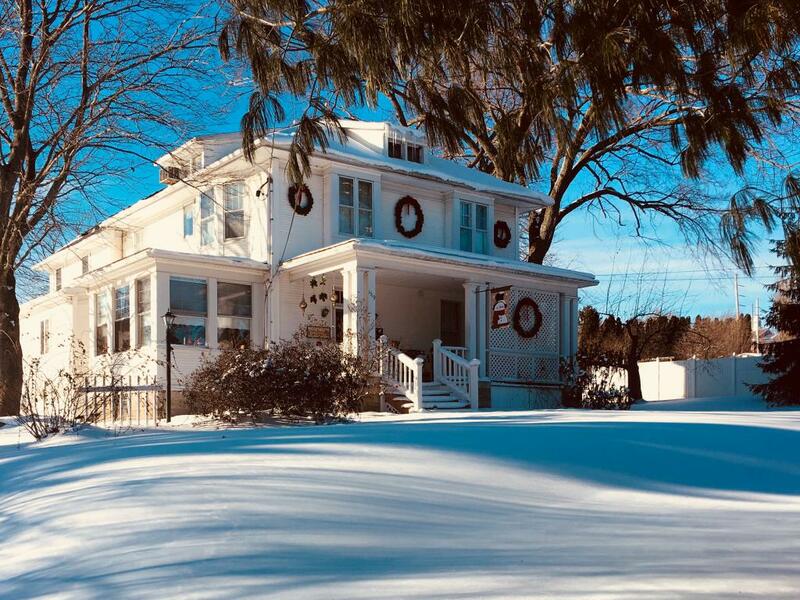 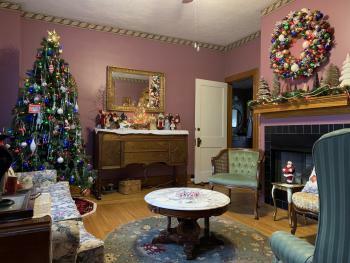 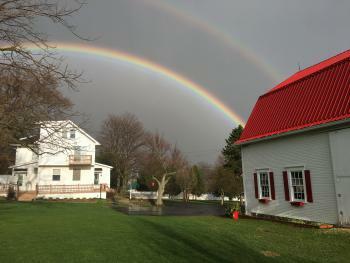 The house is an elegant 1918 Gentleman’s farmhouse built in the style of the Arts and Crafts Period. 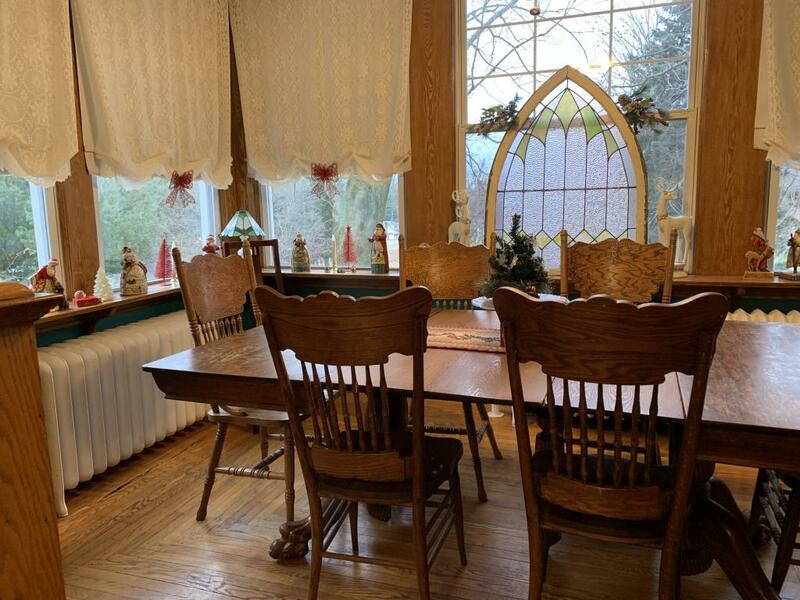 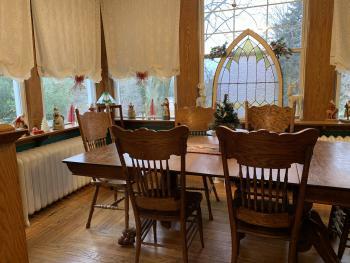 The house is furnished with antiques, family heirlooms, stained glass, and possibly a few hedgehogs! 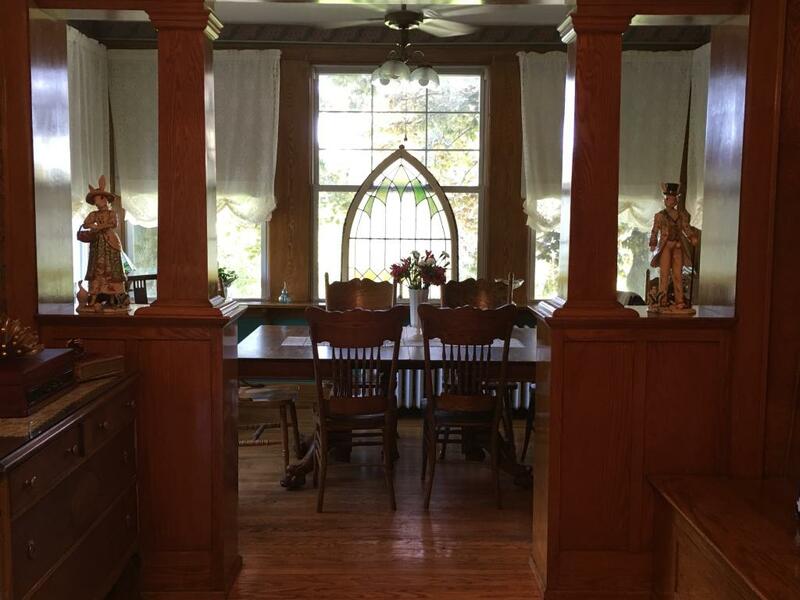 All the interior woodwork is oak and are beautifully showcased in the unique hardwood floors, built in cabinets and staircase. 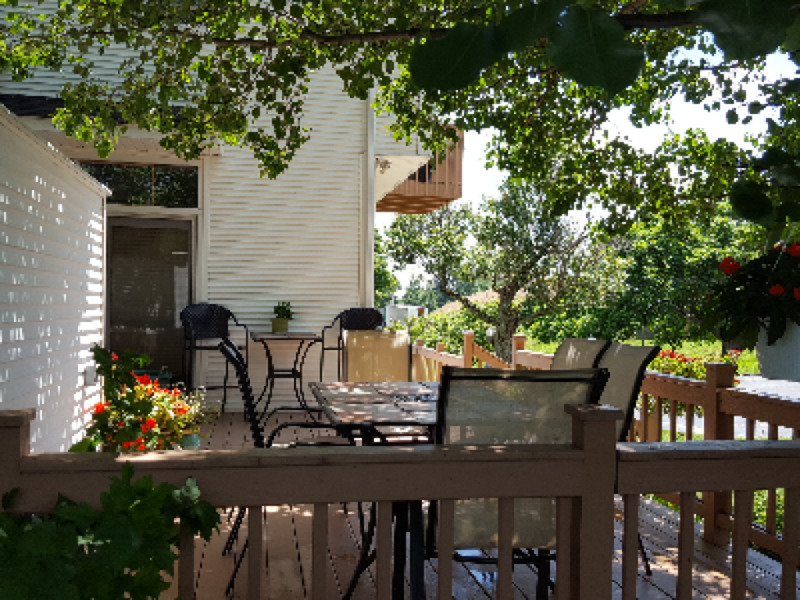 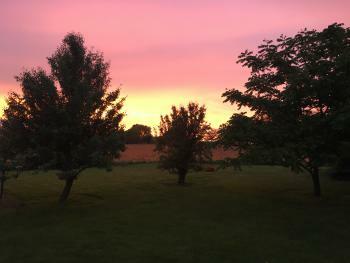 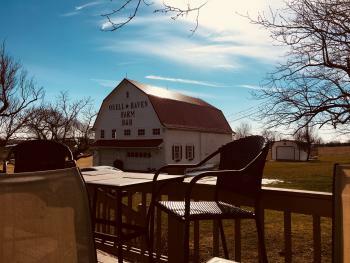 The front and back porches are furnished with patio seating for you to relax and enjoy a cup of coffee in the morning or a glass of wine in the evening. 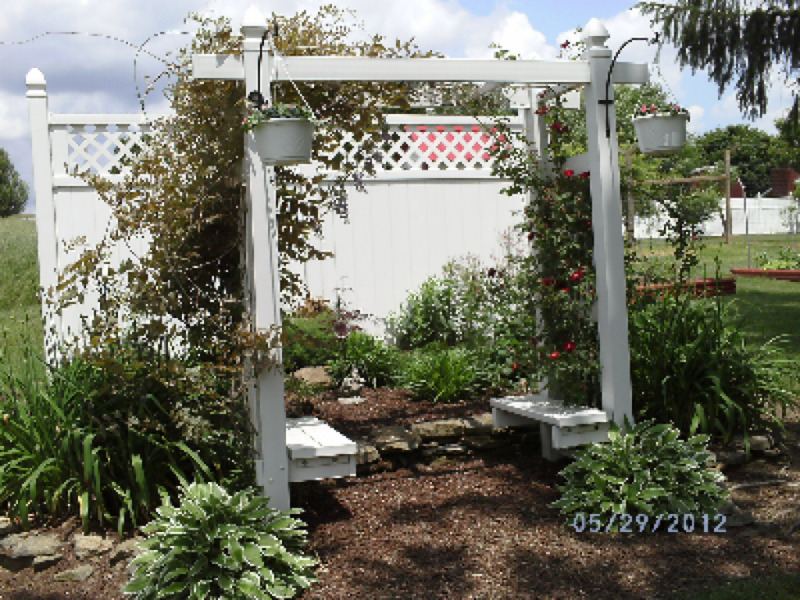 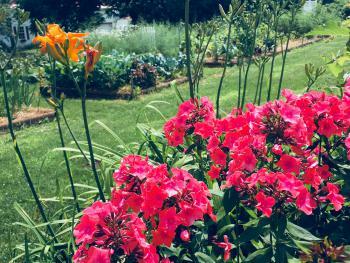 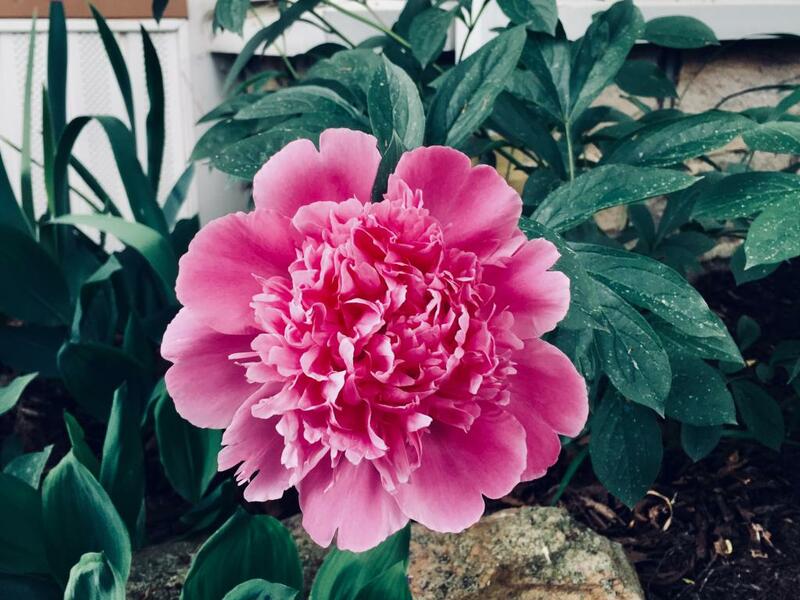 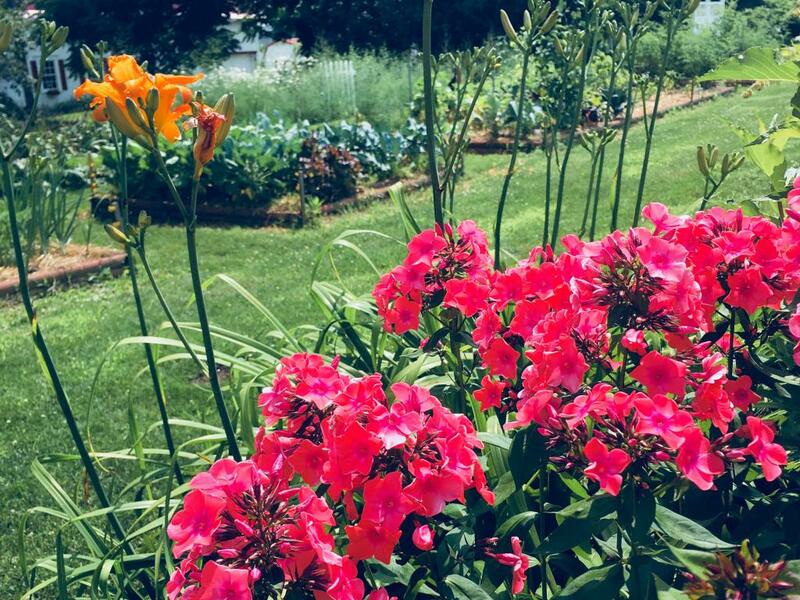 Perennial flowers bloom throughout the 3 acres of land and accompany the mature walnut trees and raised garden beds. 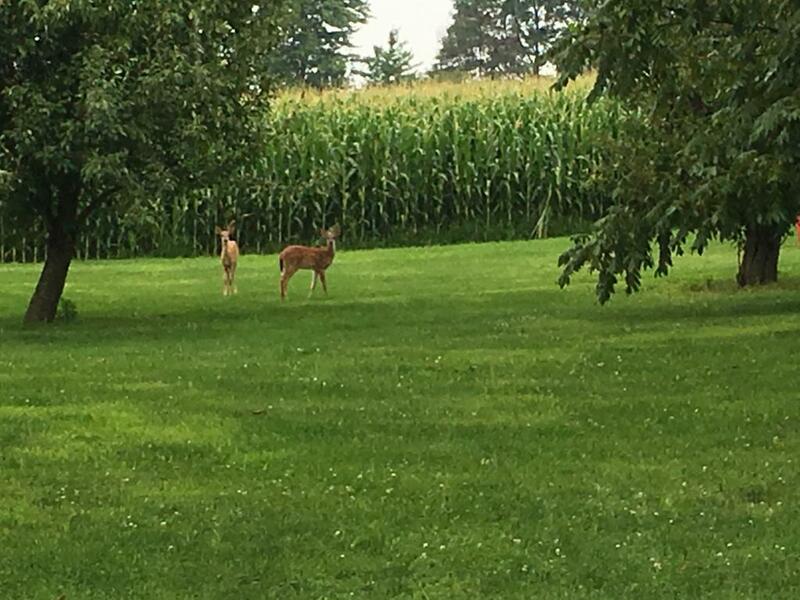 We welcome you to stroll around our property to find your favorite spot! All guest rooms have a private bath and shower in suite, cable TV, DVD player and air conditioning. 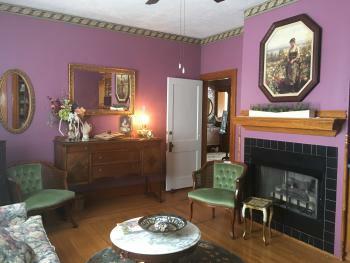 Complimentary WIFI is accessible throughout the house. 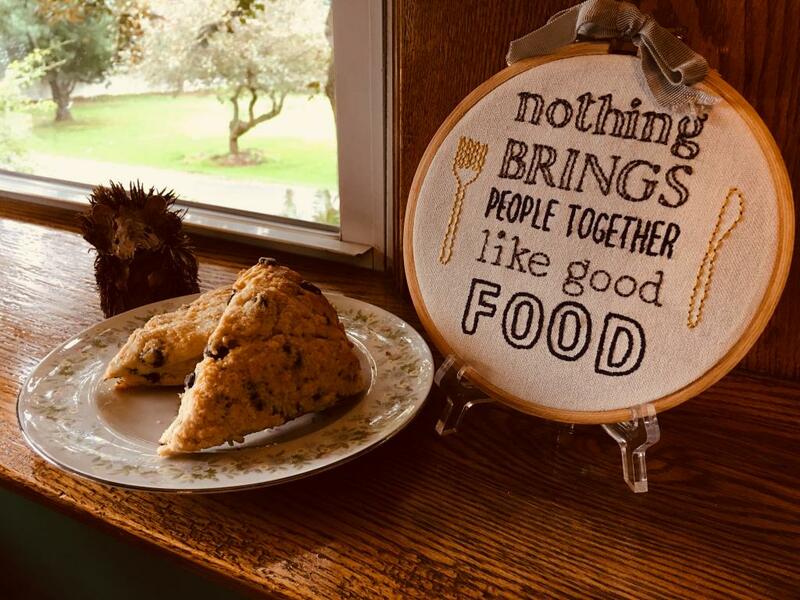 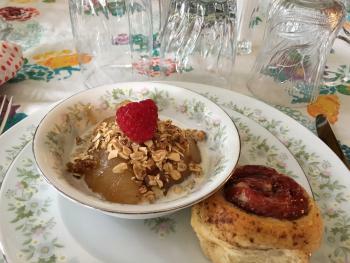 The Common Room is equipped with a mini fridge available for all guests to use, complimentary coffee and tea and of course something sweet can always be found!